At Hoskins Interior Design, we understand that creating a home is a very personal venture. When you work with the Hoskins Team, you are carefully guided through the discovery of your own unique style, a transformative experience that leads to truly remarkable spaces. Whether you are building a new home, remodeling an existing space, or looking to replace your furniture and draperies, we can help. Our team welcomes partnerships with architects, builders and contractors, offering our expertise in keeping complications to a minimum. And, with over 30 years of interior design experience behind us, we give you access to a vast library of resources and direct purchasing relationships with unique vendors. Relevant to current trends yet true to the classics, Hoskins Interior Design projects combine quality, beauty and functionality personalized to your needs. If you desire a home that reflects you and the way you live, then you have come to the right place. Specialties: Full-Service Interior Design Services Remodeling & New Construction Project Advisory Conceptual Design Material Selection Assistance Cabinetry & Architectural Millwork Design Space & Furniture Planning Via SketchUp Custom Furniture, Upholstery & Window Treatments Rare-Find Antiques & Art Pieces Unique Accessories, Lighting & Floor Coverings Personalized Color & Furniture Schemes To schedule an appointment, visit our website at www.hoskingsinteriordesign.com or call us at 317.253.8986. Full service Interior Design firm specializing in new construction and interior architecture. Best of HOUZZ 2015 - 2018 | With our location in Indiana. We can work with homeowners and builders from coast to coast. Contact us today for more information! Whether you are building a new home, remodeling your current home or updating your furniture, we offer functionality, style and value. Our award-winning designers love to work in a variety of styles and a range of aesthetics. Regardless of where you live, Everything Home Designs strives to make every project a rewarding experience for our clients. Interior Design and Decorating Company - Allow us to listen to your needs and desires for your space, from function to esthetics & style. We use our expertise and care to devise a plan specific to your individual wishes. Not only will you find exceptional value in our process and products offered, we will enjoy the time spent together creating your unique "happy place"! We are an award-winning, full service interior design company who gracefully executes medium to very large interior projects. We specialize in beautiful and functional interior design plans, artfully managing your build/remodel to completion and then amazing furnishing services for all of your interior and exterior spaces. When you want it done right, call Jeff to get started today at 317-357-0155. Fabulous Just Got Affordable! We offer a la carte services for the do it yourself or full service interior design. At Drab to Fab Decorating, our focus is on offering fabulous quality at an affordable price. We care deeply about creating impeccable interior designs and exceeding our clients’ needs. Our attention to detail will be apparent as well as our staffs impeccable customer service. We will work on your behalf to find the perfect items to complete your rooms and achieve the home of your dreams on any budget. 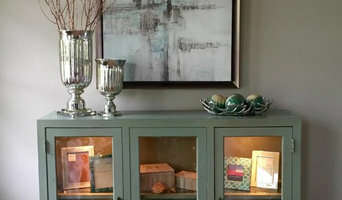 In addition to home furnishings, window treatments, color consults, and unique décor accessories, Drab to Fab Decorating offers professional interior design services. We can also be of assistance as you remodel your home or plan to place it on the real estate market, with our certified Home Staging services. Providing design services in and around Indianapolis, IN and e-design nationwide. So Chic Home Designs & Staging, llc, approaches modern interior design with a mixture of glamour, chic, and sophistication. We believe adding your unique personality to a functionally stylish design creates the ultimate chic sanctuary. We are a small full service boutique interior design company in Indianapolis, IN. Amethyst Interiors provides high quality, personalized interior design and decorating services in the Indianapolis metro area as well as client properties in other cities, states and countries. Whether you are building a new home or business, remodeling or starting a small decorating project, we can help you achieve your ideal solution. Full service interior decorating company, specializing in residential room design- planning to completion. Your home should be an environment that gives you comfort and brings you joy. It needs to be a space that not only reflects your style and personality, but that serves a functional purpose as well as an aesthetic one. As your interior designer, I want to ensure that your design reflects the way you live your life—a design that tells your story. From concept to the finishing touches of your project, you can rely on me to deliver a personal plan tailored specifically for you. I welcome a collaborative environment—a partnership—because I want you to absolutely love your home, while at the same time exceed your expectations. Whether you want to decorate your first home, make some improvements to your existing home or require some commercial design know-how and expertise, I look forward to helping you conceptualize and visualize your goals and dreams and making them a reality. Elissa Decker Interior Design is a full-service residential and multifamily design firm located in the heart of Carmel, Indiana in The Village of WestClay. As owner, Elissa Decker holds a degree in Interior Design and almost a decade of professional experience. Her passion for design started at a young age when she dreamed of growing up and designing wallpaper. While she appreciates all styles, her love of clean lines and classic elements offer her clients a family friendly and functional environment. Elissa Decker found her husband (Damien) as a childhood sweetheart and from youth through college they stayed connected and married over a decade ago. Now with two children (Dylan-4 and Adelyn-2), they live in Zionsville, Indiana and serve the community in family and business. We believe your home should not only reflect your personality but can also provide you a sense of well being. We offer everything from color consultations to full room remodels. We pride ourselves on providing our clients a personalized experience fitting their wants, needs, and budgets. 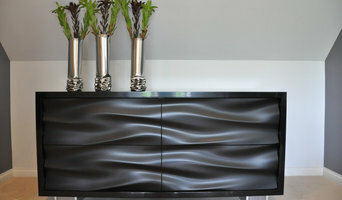 At Savvy Decor, with interior designer Linda Mordoh, we specialize in interior design and home decorating. We offer an affordable and personalized approach according to your budget and lifestyle. From concept to completion, we work as your trusted interior design consultant to help you achieve the home you desire. We pride ourselves on being your interior decorating partner, offering you sensible, honest and open communication throughout the interior design process. By carefully listening to you and gaining an understanding of your personal style, functional needs, and lifestyle, we select colors, fabrics and furnishings to breathe life into your house--making it finally feel like home. Don't be intimidated by the interior design process and the wide array of choices before you. Let us focus on the details and manage the home decorating process, while you enjoy the benefits. With our proven interior design methodology and home decorating expertise, you will make decisions with confidence, see results faster and avoid costly mistakes. On occasion, interior designers in Country Club Heights, IN will need to subcontract help from other Country Club Heights, IN professionals to help create the perfect look for your home renovation. These may be specialist installers or interior decorators like kitchen designers, architects or landscape contractors. Start by asking yourself what you want your space to become and how it will be used. List your must-haves and decide on your budget. Interior design services can add up fast, so be upfront with potential interior designers from the beginning. Also, pick a designer in Country Club Heights, IN that fits your style. Browse through their interior design portfolio on Houzz and ask yourself if you’d live in any of those houses. If the rooms inspire you, take note of what elements you appreciate. Find residential Country Club Heights, IN interior designers on Houzz. Scroll through this page to find interior designers in your area. Then, browse their design portfolios to see how their work compares to the scope of your project. You can read reviews to see how other homeowners rate their work, and message them directly to to ask any specific questions.